When her granddaughter was accepted to Naropa University, the celebrated author Pema Chodron promised that shed speak at the commencement ceremony. What do we do when life doesnt go the way we hoped? begins Pema. We say Im a failure. But what if failing wasnt just okay . . . but the most direct way to becoming a more complete, loving, and fulfilled human being? 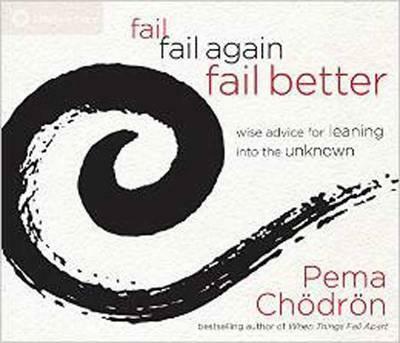 Here, Pema Chodron offers us her heartfelt advice on facing the unknownin ourselves and in the world and how our missteps can open our eyes to see new possibilities and purpose. For readers of all faiths who are at a life crossroads, this brilliant gem of kindness and clarity is sure to earn its place in our kitchens, offices, and backpacks, ready to help us get back on our feet and into our hearts. Includes an in-depth interview with Pema Chodron and Tami Simon.